More than a few boats took to Victoria Harbour today to practice in advance of Thursday’s start of the 25th edition of the Rolex China Sea Race. Winds permitting, the 30-boat fleet will start at 1210 off the Royal Hong Kong Yacht Club, with the cityfront providing a dramatic backdrop and tactically challenging conditions, with the seagoing traffic providing obstacles to avoid. At tonight’s Skipper’s Briefing, RHKYC Race Manager Alex Johnston gave last minute instructions to the crews on race course, safety and weather. Daniel Yeung from the Hong Kong Observatory reviewed the forecast for the race area over the next several days. The general forecast for tomorrow’s race start calls for southeasterly winds, 7 – 10 knots. The monsoon that is currently dominating the South China Sea is going to moderate, which will create a ridge of high pressure, though it is possible that there will be significant breeze well east of the rhumbline. The fleet is divided into five divisions including IRC A, B, C, IRC Premier Cruising, and IRC Cruising. Last year’s overall winner, Ernesto Echauz’ Subic Centennial (PHI) and Line Honours winner Neil Pryde on Hi Fi (HKG) are both back to defend their titles. Hi Fi, with Will Oxley on as navigator, is sporting a new bulb, mast and modified cabin top. 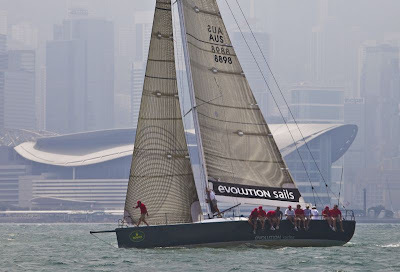 There are quite a few boats with an eye on the prize this year including three TP52s, Ray Roberts’ Evolution Racing (AUS), Sam Chan’s Ffreefire 52 (HKG) and Geoff Hill’s Strewth (AUS), as well as two of the highly-regarded French-built Archambault sport boats, Avant Garde (HKG), an A40RC, and American Anthony Root’s Red Kite II (HKG), an A35. Strewth is back after a dramatic retirement in the 2008 race, when both keel bolts sheered off and the keel and bulb dropped away, 150 miles from the start. Displaying impressive sailing skills, the skipper and crew kept the boat upright, turned around, and motored safely back to Hong Kong, escorted by Olivier Decamps’ on Cloud. Since then, Strewth has had a few modifications including an escape hatch in the stern, and installation of a new, similar keel though with 12 bolts (instead of two). Hill said it took 12 months to get the boat back in shape, and since then they have competed in several races on the Asian circuit. Hill says it’s been a learning curve getting the boat back up to speed, though he has hardly been idle, also competing on his MKL49 in this past Rolex Sydney Hobart Race. For this race he’s brought on Australian Lindsay May as tactician (winning skipper of 2006 Rolex Sydney Hobart Race on Love & War), as well as a strong group of Australian sailors. While Strewth is the scratch boat in the fleet, the biggest boat is Ffreefire, the 71-foot sled (ex-Pyewacket), skippered by sailing legend Sir Robin Knox-Johnston. In the late 1960’s, Knox-Johnston became the first person to sail single-handed and non-stop around the world, aboard the 32-foot yacht Suhaili, after 312 days at sea. The 72-year old Knox-Johnston has received numerous awards over a long and illustrious career, including ISAF Rolex World Sailor of the Year in 1994 and inauguration into the ISAF Hall of Fame in 2008. Ffreefire 70 has only two results from the China Sea Race, a Line Honours win in 1998 and 1st in IRC in 2004. The boat has a better record in the San Fernando Race, winning Line Honours, Overall Handicap, and set a course record in 1997, and then went on to repeat this treble in 2001, breaking her own record; in the 2005 SFR, Ffreefire 70 claimed Line Honours and Overall Handicap, once again. Geoff Hill was quick to praise the assistance he had from Roger Eastham, Marine Services Manager for the RHKYC, who was the point person for the recovery effort of Strewth in the 2008 edition of the race. Roger is the man to know if you have a boat in Hong Kong, having been in the marine industry for 30 years. The Royal Hong Kong Yacht Club is unique in that in incorporates on its’ grounds a full-service boat yard, the only one within the confines of Victoria Harbour. However, it wasn’t always this good. Prior to 1997, the Yacht Clubs’ facilities were really quite small, and all of the service work was sub-contracted out. When the cross-harbour tunnel was built, the area adjacent to the club was part of the reclamation project. The membership Recognizing an opportunity to expand the yard services, the membership had a travel hoist built, more yard-based work was taken on, and the yard grew organically over time as the Yacht Club assumed management themselves. The yard provides hard standing for the club’s one-design fleets: Flying Fifteen’s, Etchells, Impalas, Dragons and averages 100 class boats on the hard. The boat yard area is for haul-out, repair and maintenance, and depending on the size of yachts can manage 14 - 18 boats hauled out at any one time. There’s full services including a rigging shop, fiberglass, carpentry, engineering, TIG/MIG welding, and painting. Though a few services are sub-contracted (ie, electronics, stainless steel fabrication, canvas work), the yard is pretty much a one-stop shop for yachtsmen. Pole Star and SkyWave have joined forces to provide a web-based tracking facility for the event. 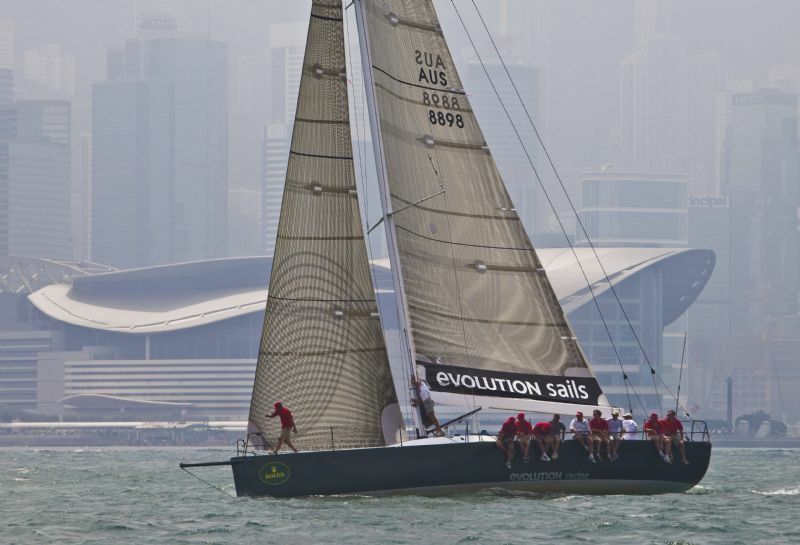 Shore-based fans can follow the racing online at http://www.rhkyc.org.hk/chinasearace/tracking.htm. The China Sea Race was first run in 1962, and it has been held every two years since then. 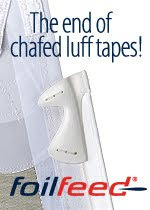 In 1972, it was officially recognised by the Royal Ocean Racing Club, and is now run under their prescriptions. Since then the race has continued to attract increased interest and serves to draw the international yachting fraternity to Hong Kong and Southeast Asia. The Rolex China Sea Race joins other prestigious Rolex sponsored events including the Rolex Farr 40 World Championship, Maxi Yacht Rolex Cup, Rolex Swan Cup, Rolex Middle Sea Race and the Rolex Sydney Hobart Yacht Race.